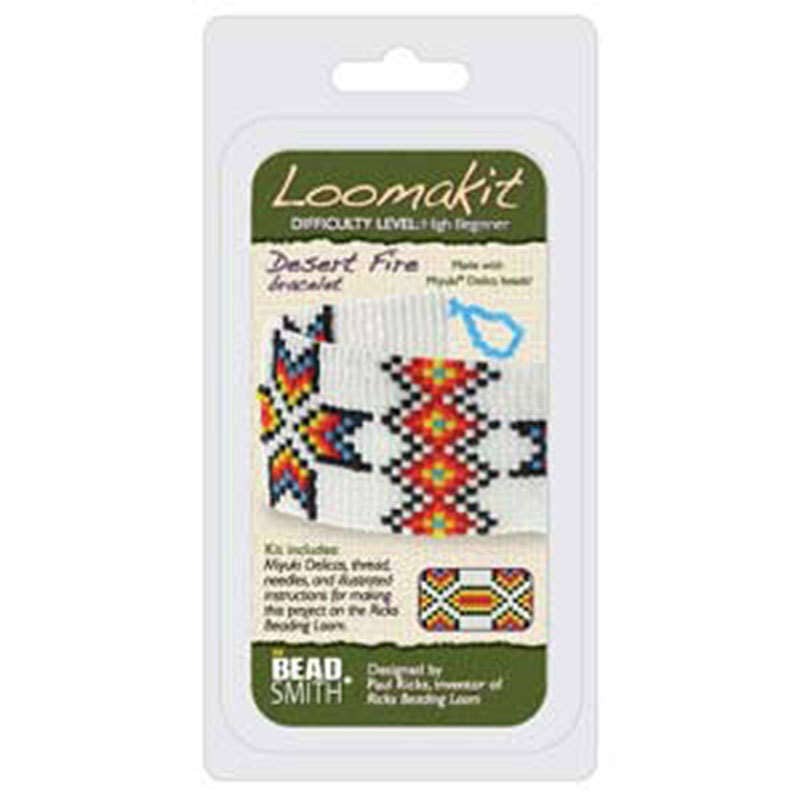 BeadSmith Loomakits Desert Fire bead loom kit contains all of the materials needed to create a finished bracelet, except the loom. 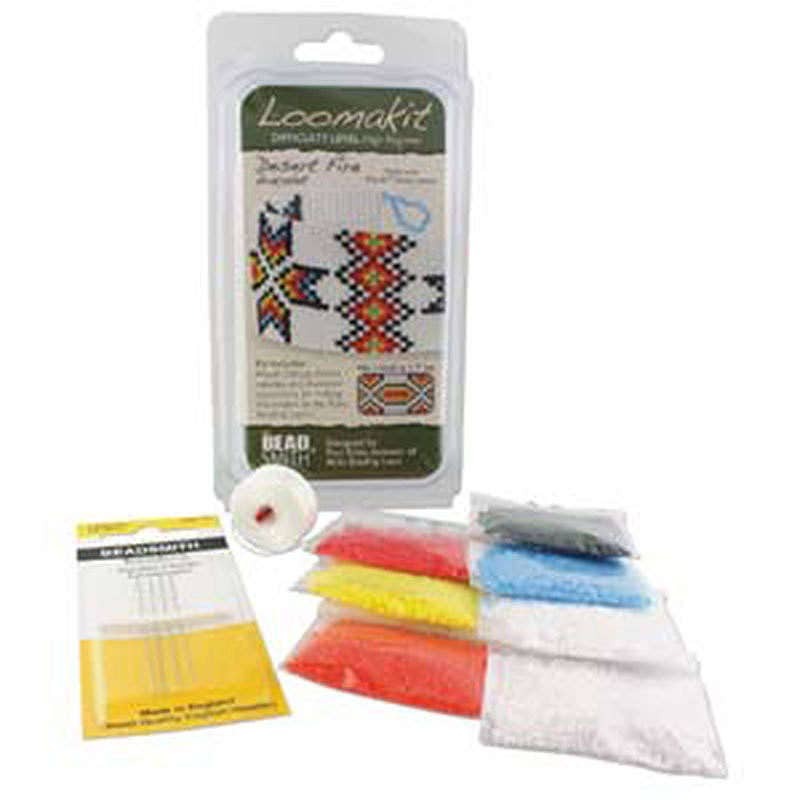 Kit may include such items as: • Miyuki Sharp Triangles, Rounds & Delicas • Preciosa Bicones • S-Lon bead cord • Split Rings • #10 Beading Needles • Lobster Clasps • Czech Glass Rizo Beads • Detailed project instructions. The Ricks Beading Loom sold separately. 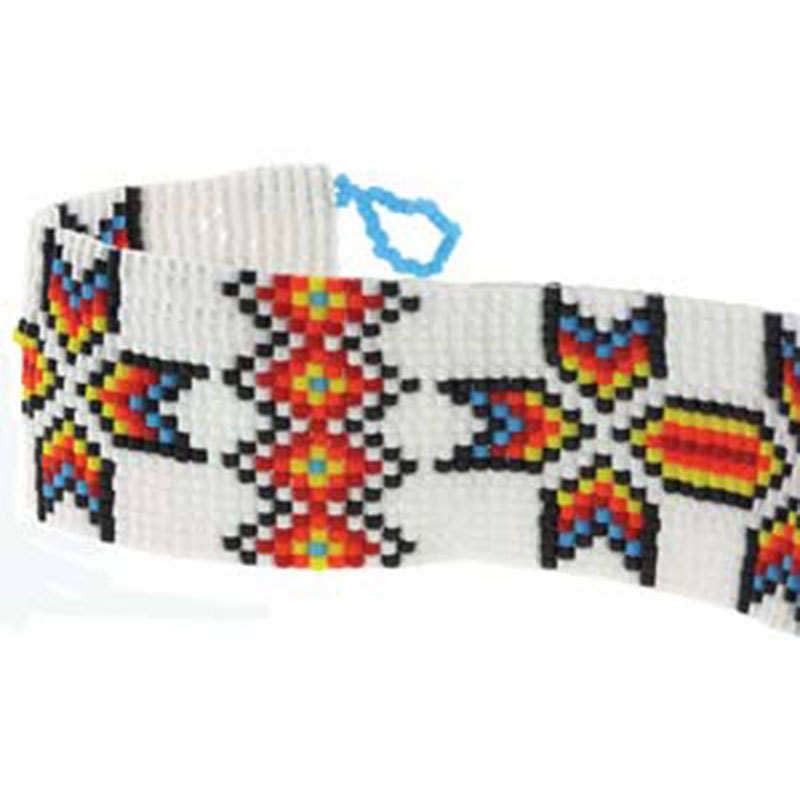 Use coupon code THANKYOU10 for 10% off this item!